Hey guys. I hope all of you had a fantastic All Hallow's Eve this last Friday. All of us at SG productions in Las Vegas had a blast! There is something very important to me that I want to briefly talk about this week. You might not know this, but a lot of magicians around the world take special note of this holiday. Because it marks the passing of a legend. On October 31, 1926, the renowned magician / entertainer Harry Houdini (born Erik Weisz) at the age of 52, left this world for the next. We magicians celebrate his legacy of unrelenting showmanship, flawless skill, ground breaking creativity, and limitless compassion for others. There will be no other quite like him. 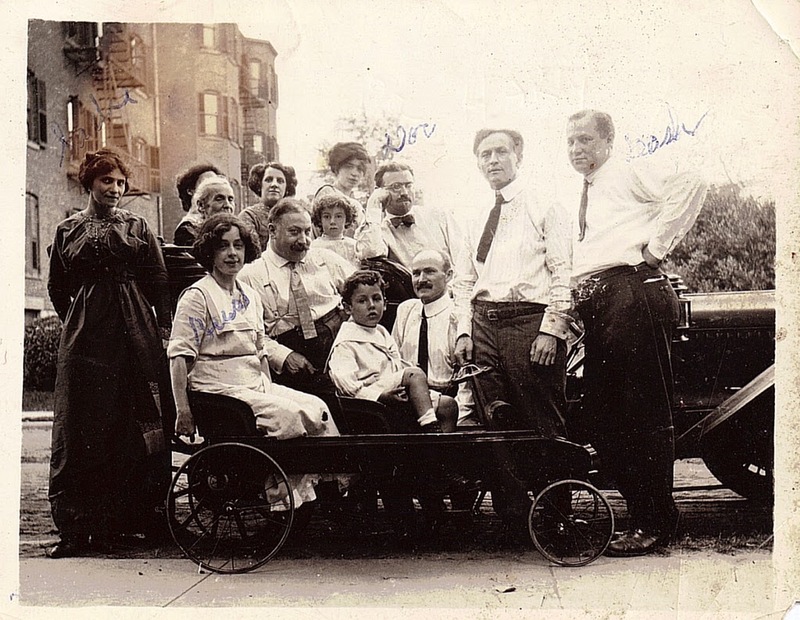 Houdini was born in Budapest in 1874 and immigrated to Wisconsin with his family. He joined a traveling circus at the age of nine as a trapeze performer and contortionist. At 21 he went on an international tour all over Europe and gained great notoriety. Not only was he a natural performer with an enchanting charisma, he did not have to resort to any type of trickery in his performances. He utilized his razor sharp concentration, dexterity, and strength to amaze his captive audiences. Later in his life, Houdini branched out his career in a campaign on debunking individuals claiming to have psychic abilities. Being deeply fascinated with spiritualism himself, he could not stand by and watch people being taken advantage of by others claiming to have otherworldly powers, resorting to trickery and deception while gaining fortune and fame. 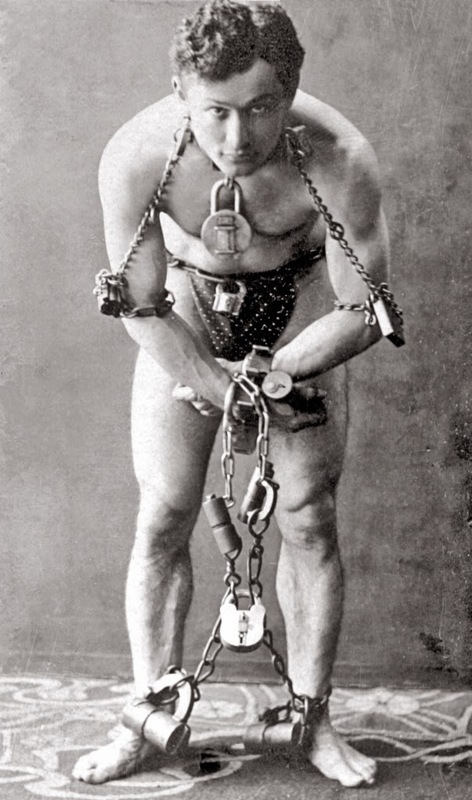 Houdini always strived to be at the forefront of newly uncharted territory. Staring in 5 movies, attempting to be the first person to successfully fly an aircraft in Austrailia, and all the while touring the world and performing unique escape acts that no one else had ever seen accomplished. 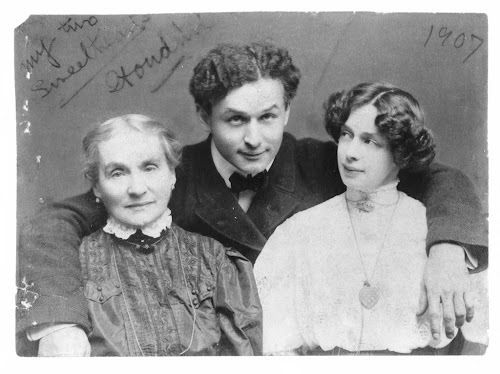 Throughout all of this, Harry Houdini kept the most important thing in his life close to his heart; his family. For this is one of the most important things in life. Your family not only defines where you come from, they are the ones that make up the foundation of your existence. May you cherish every moment with them. I wish you all an enchanting week of adventure and wonder.